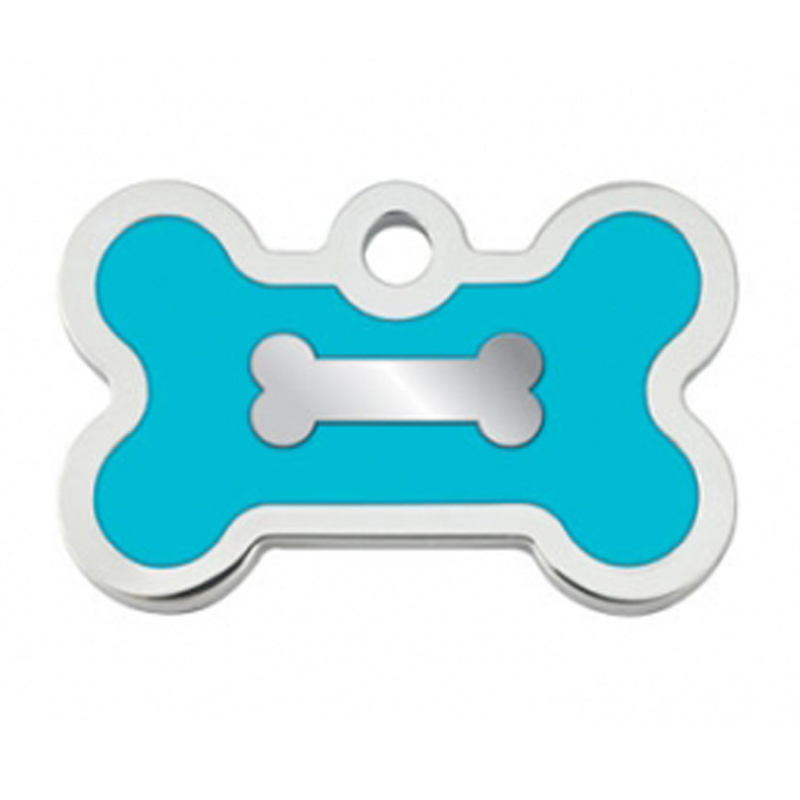 Show your love for your pet and bring them home with a Bone Small Engravable Pet I.D. Tag in Chrome and Turquoise! The Bone Small Engravable Pet I.D. Tag in chrome with Turquoise epoxy will ship to your door, ready to use. Don't let your pet leave your house without I.D. so they know how to get back. Made with a brass plated with chrome and epoxy filled. Look for other charms to enhance your tag bling. Bone Small Engravable Pet I.D. Tag - Chrome and Turquoise Customer Photos - Send us your photo! 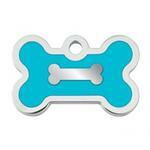 These cute little tags are so cute to dangle from your pet's collar. To make it extra special engrave the back with 4 lines. It makes it easy for the staffs to check at vets or grooming shops, etc. because they always have their collars! I may get one for my charm bracelet! Inexpensive, variations, just sweet! Little things I love to stumble upon at Baxter Boo! For our newest Yorkie I purchased this cute little turquoise bone I.D. tag for her collar more as jewelry than anything. Although I did have it engraved with her name, family name, and phone numbers.You never know when they may get free and run after something or someone in the neighborhood! The tag is well made & the engraving (on the back) is very well done. I was extremely happy and couldn't wait to get it on her collar. Perfect size and the summer color for my new puppy Yorkie-Poo. Like the quality and shiny metal on the back. Look very sharp. Posted On 07/27/16 by Gillian Lacy from Sarasota, FL Yes, Gillian Lacy recommends this product! Great little tag for small breed dogs. Luv It!Nice site; easy to navigate. Did have problem with shipping charges showing up on my order, even though after discounts I still had a $55 plus order. Tried again the next morning and it worked fine.